The Kimono web service shut down on February 29th, 2016 and the cloud service has been discontinued. Your APIs can still be accessed via Kimono for Desktop. Download the application and import your APIs before March 31, 2016. See the FAQ for more details. The kimono team is joining Palantir! After almost 2 years of building and growing kimono, we couldn’t be happier to announce that the kimono team is joining Palantir. As a team, we’re very proud of the product we built, now used by over 125k developers, data scientists and businesses. When we started two years ago, we had a clear mission to help people everywhere structure and extract value from data. Since then, we’ve realized that continuing to work in isolation on a general data collection tool simply won’t allow us to make the impact we want. When we met the team at Palantir, we were instantly excited by the potential — the incredible talent and access to the world’s most important data problems – even if it meant no longer working on the kimono product. Our decision to join gives us unmatched support, resources and the ability to work on things we could not tackle alone as a small startup. Because of our new roles at Palantir, it will not be possible for us to continue providing the publicly available cloud hosted kimono product. Effective 2/29/2016 we will be shutting down the service. From that point forward users will no longer be able to log into kimonolabs.com services or access any data via the website or API endpoints. 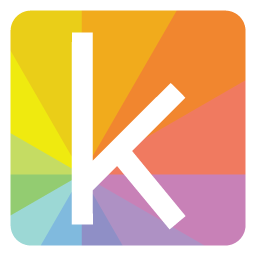 Although the kimono service will not be following us to Palantir, we know how many of you depend on kimono to run your businesses/projects, so we’ve decided to provide users with a light-weight desktop version of kimono to ease the transition. Kimono for Desktop will offer a similar experience and much of the same utility as the product at kimonolabs.com, but will no longer be a cloud hosted solution. The software, available for Mac OSX and Windows, will integrate with a new version of the chrome extension and perform all data collection locally on your machine. The software download will be free of charge and will function entirely independently from the kimono platform — and will be provided as is, without continued active development and without technical or customer support. Check out the FAQ. No data will be accessible via kimonolabs.com after 2/29/2016. As part of the kimono desktop product, you will be given a 30 day window to import your kimonolabs.com APIs (ending 03/31/2016). This function will transfer the APIs themselves including API rules, configuration details like modify results functions and data collection rules/url lists but will not transfer any data. All personal information including account information/credentials, Auth API credentials and Auth API data, will be securely deleted from our servers at the end of this transfer window. For more information, be sure to check out the FAQ.